Excellent news! 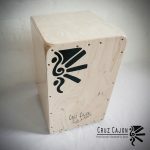 Enrolment for the long awaited beginners cajon course in London has now started! The course, which will be taught by Heidi Joubert, will run for 7 weeks from the 25th October. Classes will take place once a week on Thursdays from 7:30pm – 8:45pm in leytonstone area in London. It is literally 2 min walk from the tube station, which is the central line, 15 min from Liverpool street station.Ideally you want to join the entire course, but you can drop in anytime to join a lesson, please just let us know beforehand! 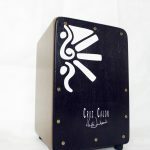 More details listed on the London cajon school page. I’m looking on the Cajon School page and I can’t seem to find the info about enrolment for the new October course. Is there another link or way I can enrol? Hope I haven’t missed aything. Eh! 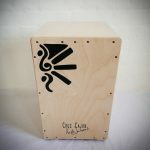 🙂 I have been meaning to list the details, I will send out a newsletter on monday with all the details, and list it here on the site too, It’s been one mad weekend of busking and performing and recording (yip thats my excuse:-)….. But can’t WAIT!! I am excited…. I can’t wait either! See you real soon.